Sponsored by TarcherPerigee, publisher of The Nocturnal Journal by Lee Crutchley. An engaging and emotionally aware resource for night owls, insomniacs, and anyone else who can’t turn off their restless minds when the lights go out, The Nocturnal Journal will help you explore what keeps you up at night, and why. Prompts and illustrations tease out the pressing thoughts, deep questions, everyday anxieties, and half-formed creative ideas that need unpacking and exploring, bringing more peace of mind and a richer understanding of ourselves. Hand-lettered and illustrated throughout, Lee Crutchley’s insightful, interactive journal is a natural next step for those who have tried coloring, mindfulness, and meditation. It’s happening again. You’re lying in bed, staring at the ceiling, and you’re not sleeping. You should be sleeping. You have to get up in…well, let’s not talk about that. Instead, let’s talk about what you can do to try to fall asleep. There are all sorts of websites that can walk you through what you should or shouldn’t eat, when you should put away your screens, or how you can arrange your room, but this is Book Riot, so let’s talk about what you can read to help you get past this insomnia. When you can’t sleep, a quiet activity might be just the thing to help you get ready to rest. Try keeping an adult coloring book like this one next to your bed with some colored pencils. There are thousands to choose from, but I like this narrative one by Daria Song because it’s so dreamy. It follows the story of a little girl who is woken in the middle of the night to go on an adventure with a magical train conductor. My favorite little detail? She is wearing an eye mask as a headband for part of the story. As someone who works in children’s books, I’m a firm believer that they can be just as entertaining and useful for grownups as books written for adults. 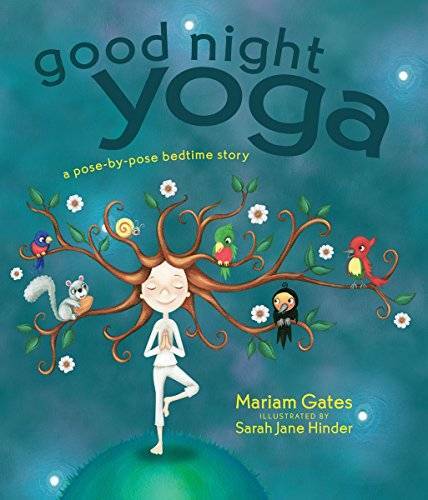 The story walks the reader through the end of the day in the natural world while teaching them yoga poses inspired by friends from nature, and reminds the reader to slow their breathing. The art is sweet, and kids and grownups alike will find it quite soothing. Check out this video for excerpt. I think it’s fair to say that many people’s insomnia is caused by stresses and fears that they are not doing enough; not accomplishing enough. In a world that values productivity over almost all else, we are rarely encourage to pursue rest over achievement. 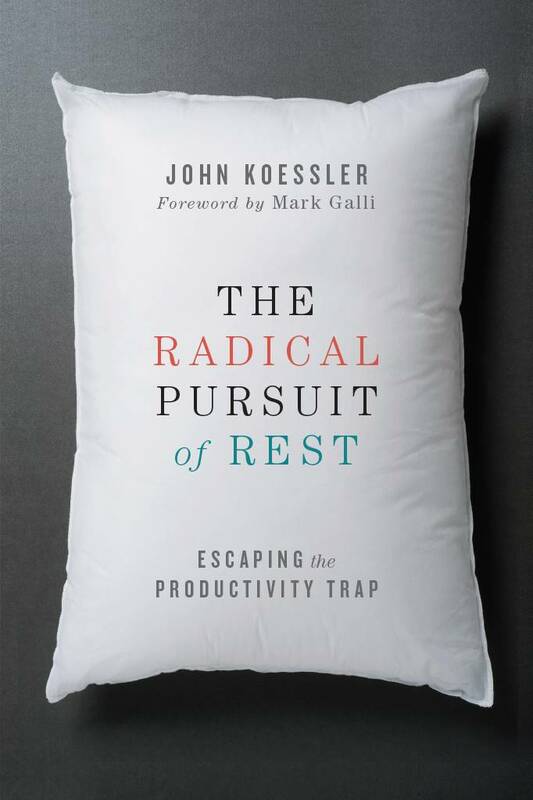 Koessler gives practical, thoughtful advice and encouragement to do less and find peace. So, why exactly do we sleep? And why can’t we sleep sometimes? When author David K. Randall injured himself while sleepwalking, he was launched into the world of sleep studies and sleep science. This microhistory (microscience?) dives deep into the wee hours of the night, examining why and how we sleep. When I can’t sleep, I always reach for an audiobook or a podcast. The narrative is usually enough to stop my mind from spinning so I can rest. I chose this audiobook because not only does it incorporate some wonderful classical music, but it’s narrated by Jim Dale. Jim Dale is probably most famous as the narrator for the American version of the Harry Potter series, but this short fable won’t tempt you to stay up for hours listening. His sonorous voice is especially comforting, and he’s the perfect person to read a bedtime story. Looking at Mindfulness is like a walk through the quietest private museum with the most soothing docent. 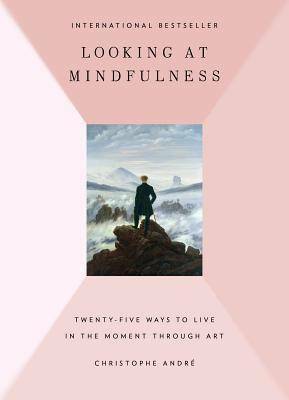 French psychologist Christophe André uses classic works of art to explain the art of mindfulness. While, say, teaching his readers to observe the details of the light in a Rembrant, André will also be teaching his readers to be present in their own lives. While looking at a chaotic medieval fresco, André talks to his readers about how to react to and compartmentalize chaos in their own lives. 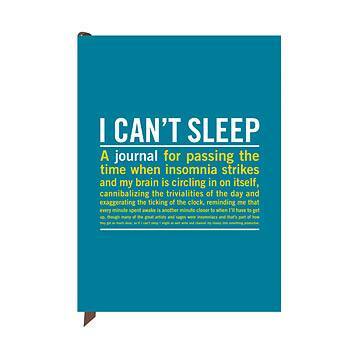 This cheeky insomnia journal is designed to give you a place to process all the thoughts that are racing through your head. As the cover states, it’s “a journal for passing the time when insomnia strikes and my brain is circling in on itself, cannibalizing the trivialities of the day and exaggerating the ticking of the clock…” Each spread has a quote (like this one from F. Scott Fitzgerald: “The worst thing in the world is to try to sleep and not to.”) on the recto and a place for journaling on the verso. There’s a space to write the date, and then the prompt “why I can’t sleep tonight.” Like all good things, it also comes in a miniature purple version. But running is practically the opposite of sleeping! Sure, but Haruki Murakami takes a book that says it’s about running, and turns it into a book about creativity, habit-forming, writing, and, well, running. Murakami never tries to talk you into becoming a runner, but his book does make you want to look at your own habits and maybe find something of your own that you love as much. 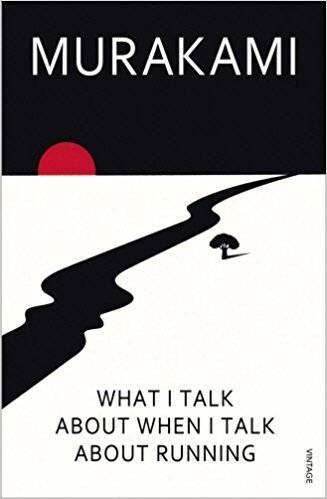 Let Murakami’s beautiful, introspective prose and the rhythms of his runs rock you to sleep. A popular home design blogger I follow talks about what she calls “clutterbody.” It’s what she calls the feeling she gets when she is so overwhelmed by the clutter in her house that her skin starts to crawl and she goes into a panic and must get rid of some of her stuff. 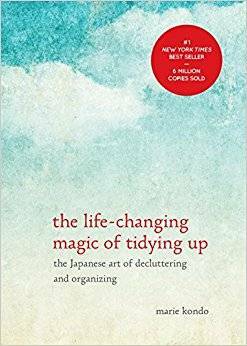 Marie Kondo’s book is the anecdote to clutterbody. She teaches her readers to remove clutter from their lives so they’re surrounded only by objects that make the reader feel calm and have joy, and her calm prose makes her a perfect read for late nights. Just be careful you don’t start cleaning out your cabinets at 2am! This series is a major part of my bedtime ritual. There are actually three books in the series, and they follow the Christian liturgical calendar. (Light Upon Light is roughly for the winter, Between Midnight and Dawn is for spring.) The readings are broken up by weeks, which is particularly helpful for me, since I don’t feel like I’m falling behind if I miss a day or two (nothing worse than a before-bed ritual that stresses you out). Each week reading includes opening and closing prayer, which is typically a one-stanza poem by someone like John Donne or George MacDonald; four or five Scripture readings; time for personal reflection; and four or five literary readings that could be an excerpt from a novel like Middlemarch or The Wind in the Willows, or a poem by Christina Rosetti or Henry Wadsworth Longfellow. She also does a great job of including international and lesser-known poets. It’s added an incredible amount of richness to my evenings, and I always sleep better when I take time with one of these little books. Riot Recommendation: What's Your Favorite YA Fantasy?